Located in north Nanaimo on Vancouver Island, Tempo Dance Academy is a dance studio that offers various classes such as ballet, tap, and jazz for all ages. They have been serving the Nanaimo community and surrounding area for over 20 years. 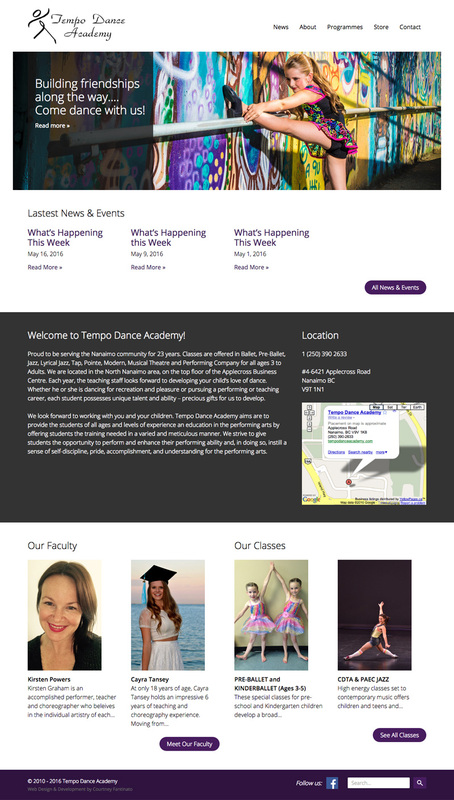 I built Tempo Dance Academy a responsive website on WordPress with a custom theme. Utilizing Advanced Custom Fields, the client is easily able to update their website including the class schedule, while also allowing it to be fully responsive for tablet and mobile.